In Carrying the Surgeon’s Baby by Amy Ruttan, Dr. Emily West has always been a practical woman and never once been the type to do anything wild like have a one night stand or get married without thinking things through. However, when a trip to Vegas has Emily doing something totally out-of-character, she finds herself married to Dr. Ryan Gary and spending the night with him where soon after she discovers she’s pregnant. Yet now, she hasn’t seen Ryan for months and when they find themselves paired together to save several patients, will Ryan and Emily find their way back to each other and get the happy ever after they both deserve or will they walk away from each other for good? Every time I think I’ve decided on what Ms. Ruttan’s best medical romance is, she has me changing my mind with every story she releases and this book was a well-written, enthralling read. In that it encompasses two well-developed and compelling characters that need each other to heal from their pasts; engaging dialogue that had me enjoying this couple’s growing relationship, their back stories and the journey they take to happy ever after; and medical emergencies that had me hoping this couple would be able to help all their patients, especially the conjoined twins they must operate on. The way this story started had me liking the hero and heroine immediately, as they’re having fun; fun that Ryan and Emily need after everything they’ve been through in their pasts while not worrying about consequences. However, it was from the moment they’re reunited where things really get interesting, as Emily does everything in her power to keep her distance from Ryan for fear of being burned like she was in her previous relationship. 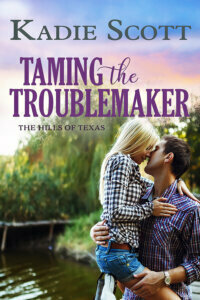 Will Ryan allow Emily to have things the way she wants or will he fight for a relationship with her? She smiled. He was so good with kids. She just hoped that he’d be around for their baby. With the heroine, she’s resilient, courageous and I liked how she’s fought to get to where she is both personally and professionally. Luckily, she managed to get free of the emotionally abusive relationship she was in, otherwise she wouldn’t be the success she is now in being a kind and caring surgeon determined to do her best for her colleagues and patients. I also liked how she and Ryan challenge each other when it comes to their careers. Is he too egotistical? Does she need to knock him down a few pegs, especially when it seems one of his patients may be at risk of not recovering fully? While the hero, he’s been through a lot in his past and I could understand why he wants to make things work with the heroine because of what his ex did. I also liked how determined he was to show the heroine that he’s different to her ex and would never treat her like her ex did. Yet, what I liked most of all about the hero was his kind and caring nature towards his patients, especially a little girl going through something that no child should have to go through. Overall, Ms. Ruttan has delivered a charming and wonderful read in this book where emotions run high because of the main characters back stories and whether giving a relationship another chance is worth the heartache if things don’t work out; and where the chemistry was tangible and strong; the romance was delightful and had me hoping that these two would achieve their happy ever after; and the ending had me smiling, as Ryan realizes how much he needs Emily in his life to be whole. However, it was the epilogue that wrapped this story up nicely, as Ryan does something so special for Emily to show her how special she is not just to him but to every one of her patients. 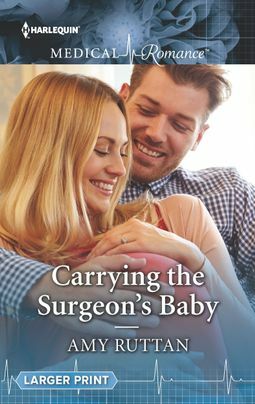 I would recommend Carrying the Surgeon’s Baby by Amy Ruttan, if you enjoy second chance romances, workplace romances, the surprise pregnancy trope or books by authors Tina Beckett, Annie O’Neill, Janice Lynn and Lucy Ryder. An impulsive Las Vegas encounter that left practical Dr Emily West married to world-renowned neurosurgeon Dr Ryan Gary should have simply been a lesson learned – except now she’s pregnant with his baby! When Ryan arrives at Emily’s Seattle hospital to assist on a case, they’re reunited and their powerful spark reignites. But can working side-by-side with Emily convince lone-wolf Ryan he’ll be the perfect dad, now and always? I have been an Amy Ruttan fan for many years. 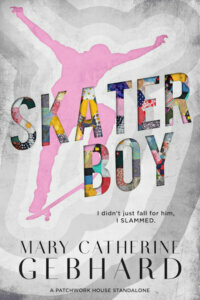 I will have to check this book out.